Experience the mix of yoga, acrobatic stilts and release based dance work through contact improvisation to engage in an evolving performance modality. We will work with still point exercises, partner walks, inversions & oppositions and graceful ground movement all on stilts. Exercises for falling gracefully, effortlessly and safely to the ground will be taught along with a focus on partner work for lifts. 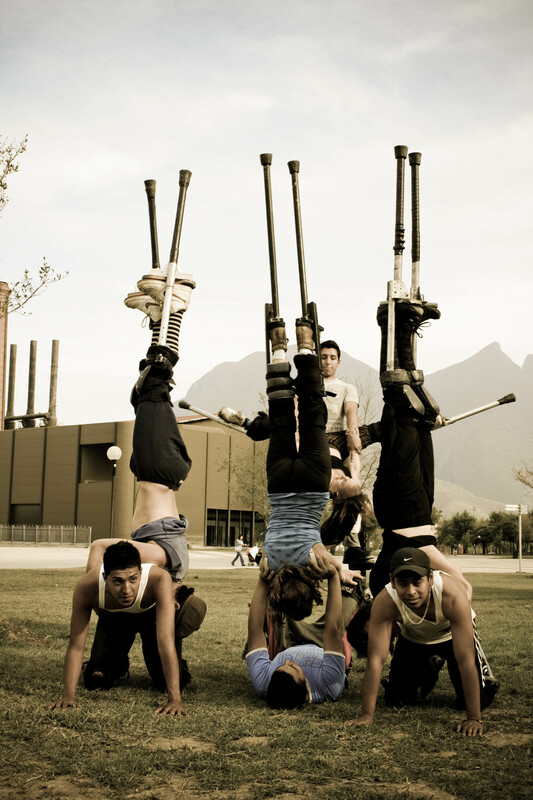 With a mix of technique and improvisation participants will learn basic tricks on stilts and be given tools to evolve their own sequences. Stiltasana is for performers, stilters, dancers, yogis, and those with a deep curiosity to explore the capacity of their body.